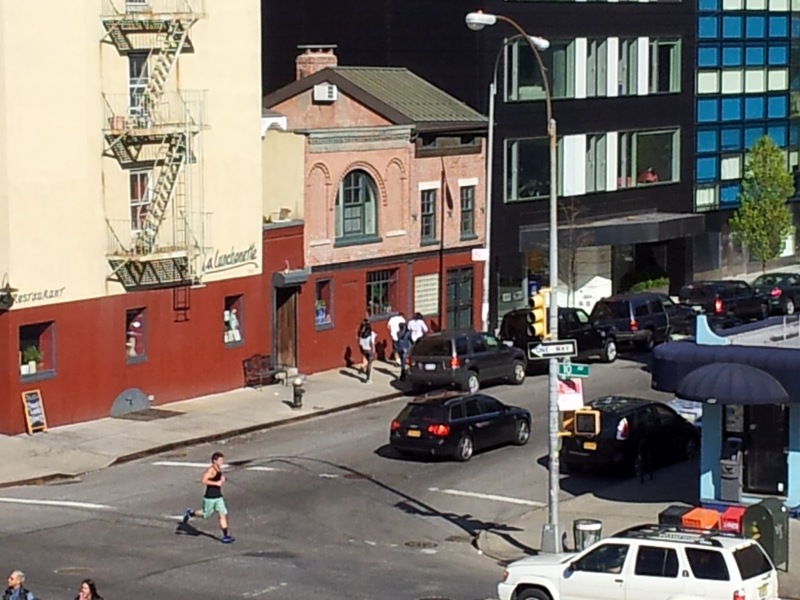 NEW YORK TOURS BY GARY : Tenth Avenue obsession. So I was walking down the High Line a few weeks ago and when I got to 18th Street I noticed a little building just east of 10th Avenue. Needless to say I became obsessed with this little building. Although connected now to the building on the corner, it was once upon a time a separate building. What was it I wondered and what did it look like years ago. I assumed that it had once served as a stable that also contained an apartment upstairs for a carriage driver as it could have been owned by someone with who owned a private house along the rows east of 10th Avenue. This is a map from 1916. The building is there (it is a little yellow square). A great many buildings are still with us including the 2 National Biscuit Company buildings, one of which had a rail line running into the building. Flour came in and cookies (and biscuits) went out.The NaBisCo building on the left is where the Oreo was invented. This is detail from the map above. The building is there. It is a small yellow box, indicating a wood frame. This is detail from a photo taken in July 1932. The tracks in the foreground are west of 10th Avenue as is the corrugated metal wall. 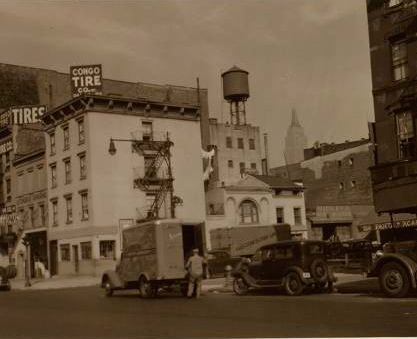 The New Yorker Coffee Shoppe is on the North East corner of 18th street and 10th avenue as a tenement rises above it. This western part of the Chelsea neighborhood was pretty tough, as you can imagine. 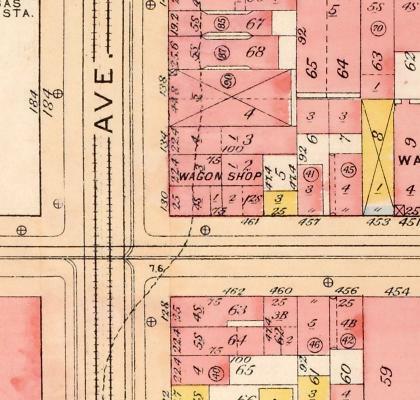 Tracks running down the street did not help and the 9th Avenue el acting as an eastern boundary dictated the course of the area. 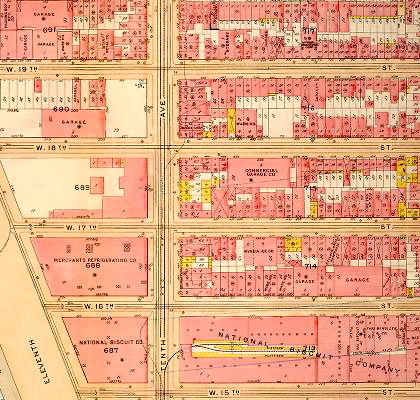 West of what was called "The Tenderloin" and south of what we know as Hell's Kitchen (the traditional dividing line between Chelsea and Hell's Kitchen is 34th street or north of the 30th Street Yards of The New York Central) and just a bit north of what we now call "The Meatpacking District". The tenement got a fresh coat of paint and a new storefront. The little building received new paint too. 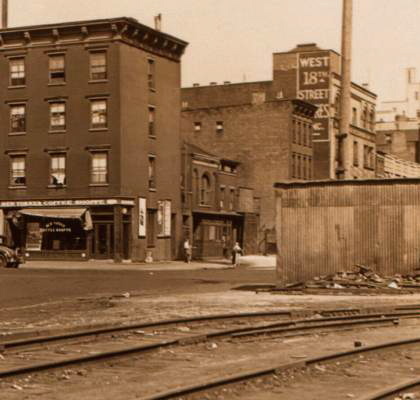 The tracks of the New York Central are no longer running down the middle of the street. The opening of the High Line in 1934 took care of that. This is a photo taken by Bernice Abbott in 1938. It might have been intended for the Changing New York series but did not make the book. 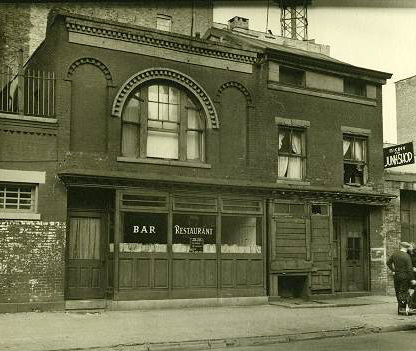 The little building is a restaurant in 1938 and is part of one today. The tenement on the corner and the little building survived while Mickey's Junk Shop and the tenement just to the east did not. As this area re-invented itself (with the help of developers) as a place to be, there was bound to be collateral damage. What always surprises me about New York is while a neighborhood gets re-purposed, even with the randomness of what survives and what does not, there will always be reminders of the past.